Are you overpaying for your prescription medications? Many of us are simply because we aren’t sure how or where to find the most affordable price for a particular medication. While the cost for the same drug may differ significantly from one pharmacy to the next, even in your own neighborhood, it can take a significant amount of time and research to determine which pharmacy you should go to. We’ve got good news: finding the best price is easy, thanks to the FamilyWize Drug Price Lookup Tool. 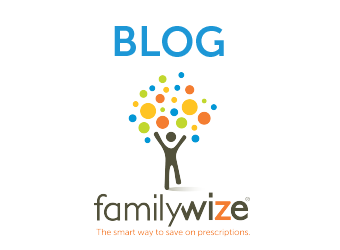 The FamilyWize Drug Price Lookup Tool is free and easily accessible on the FamilyWize website. All you need to know is the name of your medication, the dosage, and the zip code for the area where you’d like to visit the pharmacy. FamilyWize takes that information and displays the price you’ll pay for your prescription at a variety of pharmacies (if you use the FamilyWize Prescription Savings Card). Armed with this information, you can make the best choice about which pharmacy to visit, knowing that you’ll be paying the lowest price available. Simply type in the name of your medication and then enter your zip code, or the zip code where you plan to visit a pharmacy. Click the “See your savings” button, and voilà! In this example, we entered Zoloft as the drug and 37401 (Chattanooga, TN) as the zip code. The results provide key comparison facts, such as the dose form, the strength, and the quantity, so you know that you’re comparing apples to apples – or, in this case, 30 Zoloft 100 MG tablets to 30 Zoloft 100 MG tablets. You can also sort the price range from low to high, filter by generic or brand name medication, select major pharmacies only versus all pharmacies available, and choose the maximum distance for the location of the pharmacies. The results then list the area pharmacies that carry your medication (in this example, it’s Zoloft) and the exact price you’ll pay at each if you use the free FamilyWize card or app. For Zoloft, the prices varied from as little as $10.99 to as much as $27.48 – nearly double the price! If this were a monthly prescription for you, the difference over the course of a full year would be significant. FamilyWize makes it easy for you to save. The FamilyWize Drug Price Lookup Tool is a free and easy way to comparison shop for your prescriptions, but that’s only one step. Insurance or not, you can save significantly – an average of 43% – on your prescriptions with the FamilyWize Prescription Savings Card. The free FamilyWize Prescription Savings Card ensures that you’re paying the lowest price, whether it’s the pharmacy’s, the insurance price, or the FamilyWize price. Download a free card online today or request a card by calling 1-800-222-2818. You can also get the free FamilyWize app, available for both Android at the Google Play Store and Apple Devices (iPhone and iPad) at the App Store.